Vintage windows are much easier to come by than you might think. Before the salvage craze became mainstream, windows were often one of the few items saved from building demolition. As a result there are centuries worth of windows floating around antique shops, flea markets, and architectural salvage depots. Or perhaps you’ve done an upgrade on your own home, and your old windows are still around, waiting to be turned into something great. A window’s flat, rectangular shape means it’s a natural candidate for becoming a tabletop. Plus, the solid frame with the glass inset makes for a lighter feel, perfect for use outdoors. 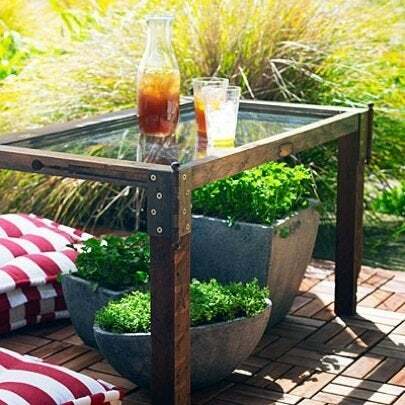 This garden table from Sunset magazine uses a single 2×2 for legs and door hinges as brackets—brilliant. A window’s strong frame is designed to keep heavy glass in place, it works equally well to help you display family photos, art, or little bits and baubles. 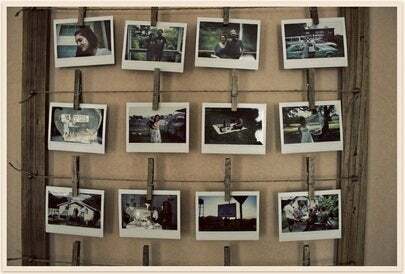 You can find so many terrific examples of windows being transformed into photo and art frames; one of my favorites is this string and clothespin “picture” frame from Talia Christine. Since windows are (literally) built to be a bridge between the indoors and outside, they can stand up to weather, which makes them perfect for use in the garden. 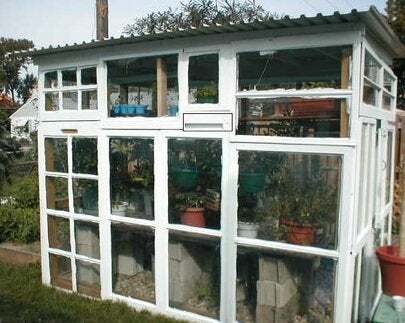 I love the greenhouse above, built entirely from recycled windows salvaged from a neighborhood remodel by Cheft on Instructables. 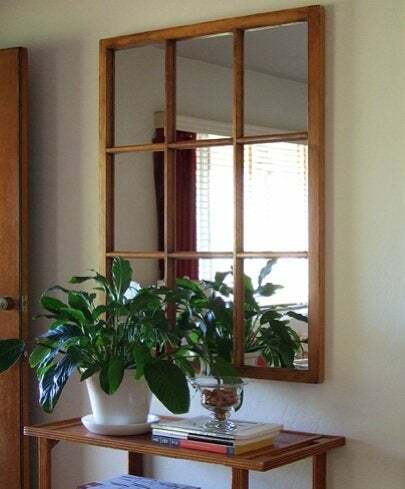 For decades, we’ve been hearing that putting a mirror in a room can make it feel bigger. Unfortunately, just throwing a mirror on the wall makes it look like you just learned that putting a mirror in a room can make it feel bigger. But adding a worn window frame full of character can turn a functional necessity into a great investment that looks like it was made to be there. CraftyNest has a full tutorial on how to complete the transformation yourself. Fortunately, simply connecting old windows or window frames together looks… well, totally awesome. The repetition of geometric shapes makes for a great large-scale display, from room dividers to custom headboards. 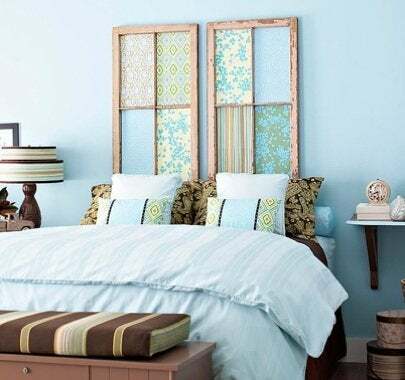 This example from Better Homes & Gardens was made with fabric covered, fiberboard inserts set into a pair of salvaged windows.